Comedian Louis C.K. performs in New York on Nov. 5, 2014. C.K. has admitted to masturbating in front of women without their consent. Dozens of powerful men, including two at NPR, have lost their jobs and reputations in the cultural reckoning that is the #MeToo movement. Clearly, there's tremendous momentum behind it, but where does it go from here? Do those men have a shot at redemption? For those who can afford it, redemption can be a legal process. Los Angeles attorney Andrew Brettler represents several men accused of sexual misconduct. He says, these days, such allegations are "just as bad and damaging as a conviction." Brettler says, in some cases, the best response may be to lie low. "Sometimes the best defense is to not do anything, is to accept the punishment or whatever decision it is that the company made and stay quiet and better yourself as a person. Make whatever apologies need to be made, privately." Like Brettler, Hanna Stotland spends a lot of time helping people accused of sexual misconduct. She's a college admissions counselor, and many of her clients are men who've either been expelled from or left universities because of sexual misconduct allegations. "A big part of what I do is help them decide what's the right framework for them to talk about it," Stotland says. "This is a narrative of their crisis and recovery." She explains some of the reasons sexual misconduct allegations can affect a college application: "The first is that they're scary; nobody wants to bring a predator into their community. A second reason is that there's a perception ... that this sort of misconduct as compared to any other kind of misconduct ... has to do with something fundamentally, unchangeably wrong with you. And whether that's true or not, it's something that everybody who's accused of this particular set of misbehavior has to cope with." For Stotland's students, it's about finding a university with "sympathetic ears." Sometimes, that takes years, but so far all the students Stotland has worked with have been able to graduate. "It's quite an odyssey," she says, "but if you get everything else right, you can come back from this." Stotland sees a lot of parallels between her job and what's happening in the public sphere. She believes there are lessons for her students in all the high-profile cases playing out in the media. 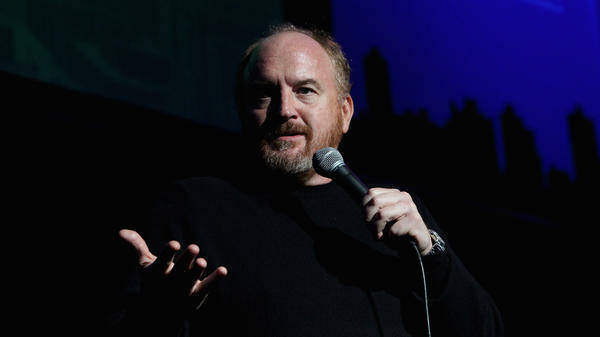 Take comedian Louis C.K., who admitted to masturbating in front of women without their consent. Stotland says, "The most important, right thing he said was the allegations are true. That is the single most important thing that you can say. If they're true, you need to say that they're true." But she acknowledges an apology is only the beginning. After all, it was after C.K. confessed that companies severed ties with him. Toronto-based filmmaker Attiya Khan has spent years helping victims of domestic abuse. She's concerned that when a person is fired for sexual misconduct, they become someone else's problem, rather than being part of a solution. "We're getting rid of somebody, but then where do they go?" she asks. Khan herself is a survivor of domestic violence. When she was a teenager, she had a physically abusive boyfriend. She says, "I had been coping with the trauma from his abuse for over 20 years, and so I thought that maybe it was possible that he still carried, you know, some of the weight of what he did to me. And I really wanted to hear about that. But I also, more importantly, I really wanted the opportunity to tell him exactly what he did to me in detail." Khan asked her ex-boyfriend if he'd be willing to sit down with her and a therapist and let her film their conversations. He agreed, and she included those videos in her 2017 film, A Better Man. The film shows Khan sitting next to her abuser, who she refers to only as Steve, and telling her story to a therapist in excruciating detail. "I remember being dragged to the bed and, you know, hit more," she says in the film. "How do you mean 'hit'?" the therapist asks. "Punched ... in the face." Khan says those conversations were a critical part of her healing process. "To have him listen to me was almost the most important thing for me. And it was part of him being accountable and taking responsibility. It was so satisfying ... to have the person who hurt you sit there and listen to you and not blame you for it and admit to what they did, and to remember some of the abuse. Even though Steve didn't remember a lot of it in our first conversations, he started to remember." It's a process known as restorative justice, when victims and offenders come together, with mediation, to repair the harm that's been done. And writer Stephanie Cassatly thinks about it a lot. In 1980, Cassatly's mother was murdered while she was working as a cashier at a convenience store in New Orleans. Her mother's killer spent the rest of his life at Louisiana's Angola prison. But to Cassatly, sometimes it felt like she was also in prison. "It was 20 years of me carrying around, you know, just this weight of revenge and accusations," she says. "And, you know, the crime had happened but it was like it kept happening to me over and over and over again. Until I took a much deeper look at what was going on in my life and what I could do to regain power." Cassatly began to explore the possibility of forgiving her mother's killer. She says, "The thought of forgiveness to me felt like I was sort of giving up a limb, and then maybe I might regret it later, or that I was letting him off the hook." When it comes to the #MeToo movement, Cassatly sees restorative justice as a possible way forward. "I think we're in the bomb-throwing stage of it still," she says. "We're not even sure where this is going, and I think it's going to take some time for us to get any resolution. And so what I'm realizing about a lot of these women is that they have to get their power back." She and Attiya Khan agree that's going to take a very long time. Khan says, "A lot of men who have harmed women are coming forward very quickly after its becoming public that they've hurt someone, and they're saying sorry. It needs to be more than that, and you need to make sure that the people who have been harmed want your apology. And you need to ask them, like, 'What else is it that you need from me? How can I help you heal after I've wronged you?' That's the part that's missing." The men called out by the #MeToo movement might not be there yet. After all, it takes courage to be held accountable. Researcher Kevin Garcia contributed to this report. Rose Friedman and Andrew Limbong edited and produced this story for broadcast. Nicole Cohen adapted it for the Web. Dozens of powerful men, including two here at NPR, have lost their jobs and reputations in the cultural reckoning that is the #MeToo movement. There's clearly tremendous momentum behind it, so where does it go from here? And what's going to happen to these men? NPR's Elizabeth Blair set out to explore whether they have a shot at redemption. And a quick note that her report includes details of domestic violence and other material that may not be suitable for all listeners. ELIZABETH BLAIR, BYLINE: First, some free advice from Los Angeles attorney Andrew Brettler. ANDREW BRETTLER: You know, the best advice is obviously to not get yourself in a situation where you could be accused of sexual misconduct. BLAIR: Until recently, it seems plenty of people got away with ignoring that advice. UNIDENTIFIED REPORTER #1: Roughly 24 hours later Matt Lauer, anchor of NBC's "Today" show for 20 years, was fired. UNIDENTIFIED REPORTER #2: Two weeks after Alex Kozinski, a prominent federal appeals court judge, stepped down amid wide-ranging allegations of sexual harassment. UNIDENTIFIED REPORTER #3: There have been more disturbing reports regarding Mark Halperin's treatment of younger female co-workers. BLAIR: MSNBC, CBS, NBC - these stories are just about everywhere. For those who can afford it, the path to redemption can be a legal process. Brettler represents several men accused of sexual misconduct. BRETTLER: Those allegations these days are just as bad and damaging as a conviction. BLAIR: Still, Brettler says, for people who lose their jobs sometimes the best response is to lay low. BRETTLER: Sometimes the best defense is to not do anything. It is to accept the punishment or whatever decision it is that the company made and stay quiet and better yourself as a person, make whatever apologies that need to be made privately. BLAIR: Like Andrew Brettler, Hanna Stotland spends a lot of time helping people accused of sexual misconduct. HANNA STOTLAND: Some of them have done something wrong. Some of them I'll never know. BLAIR: Stotland sees a lot of parallels between her job and what's happening in the public sphere. As an admissions counselor, Stotland works with college students. Some of her clients are men who've either been expelled or left universities because of sexual misconduct allegations. She helps them apply to new schools. STOTLAND: A big part of what I do is help them decide what is - what's the right framework for them to talk about it? This is a narrative of their crisis and recovery. BLAIR: And it is not easy. STOTLAND: There's a few reasons why sexual misconduct allegations are particularly heavy as a drag on an application. The first is that they're scary. Nobody wants to bring a predator into their community. A second reason is that there's a perception that this sort of misconduct as compared to any other kind of misconduct has to do with something fundamentally unchangeably wrong with you. And whether that's true or not, it's something that everybody who's accused of this particular set of misbehavior has to cope with. BLAIR: Stotland says for her students, it's about finding a university with sympathetic ears. Sometimes that takes years. But so far, the students she's worked with have been able to graduate. STOTLAND: So it's quite an odyssey. But if you get everything else right, you can come back from this. BLAIR: As for these high-profile cases playing out in the media, Stotland says there are some lessons her students can learn. Take comedian Louis C.K. He admitted to masturbating in front of women without their consent, as reported here by ABC. STOTLAND: The most important right thing he said was the allegations are true. That is the single most important thing that you can say. If they're true, you need to say that they're true. BLAIR: But Stotland acknowledges an apology is only the beginning. It was after Louis C.K. confessed that companies severed ties with him. UNIDENTIFIED REPORTER #5: Netflix has already canceled his standup special while HBO is removing his projects from their on-demand services. ATTIYA KHAN: What's happening is men are basically being fired. BLAIR: Attiya Khan is a filmmaker based in Toronto. She also spent years helping victims of domestic abuse. KHAN: Part of my fear is that we're getting rid of somebody, but then where do they go? And that person becomes another workplace's problem, another person's problem. BLAIR: And not part of a solution to end sexual misconduct, says Kahn. She herself is a survivor of domestic violence. When she was a teenager, her boyfriend at the time was physically abusive. KHAN: I had been coping with the trauma from his abuse for over 20 years. And so I thought that maybe it was possible that he still carried, you know, some of the weight of what he did to me. And I really wanted to hear about that. But I also - more importantly, I really wanted the opportunity to tell him exactly what he did to me in detail. BLAIR: Kahn asked her ex-boyfriend if he'd be willing to sit down with her and a therapist and let her film their conversations. He agreed. As Khan tells her story in excruciating detail to the therapist, her abuser, who she refers to only as Steve, sits next to her. UNIDENTIFIED MAN: How were you being hit? UNIDENTIFIED MAN: Where were you being punched? BLAIR: Conversations like these were a critical part of Khan's healing process. KHAN: To have him listen to me was almost the most important thing for me. And it was part of him being accountable and taking responsibility. It was so satisfying. KHAN: To have the person who hurt you sit there and listen to you and not blame you for it and admit to what they did and to remember some of the abuse - even though Steve didn't remember a lot of it in our first conversations, he started to remember. BLAIR: This process is called restorative justice. With mediation, victims and offenders come together to repair the harm that's been done. It's something writer Stephanie Cassatly thinks about a lot. In 1980, Cassatly's mother was murdered while she was working as a cashier at a convenience store in New Orleans. Her mother's killer spent the rest of his life at Angola prison. Cassatly says for 20 years, she was angry and wanted revenge. STEPHANIE CASSATLY: The thought of forgiveness to me felt like I was sort of giving up a limb and then maybe I might regret it later, or that I was letting him off the hook. BLAIR: Until she started looking into restorative justice and changed her definition of forgiveness. CASSATLY: My working definition basically for forgiveness is that it no longer wishes ill or seeks revenge on the person who hurt us, and that it basically untethers us from them and enables us to have a different future from the past. BLAIR: When it comes to the #MeToo movement, Cassatly sees restorative justice as a possible way forward. CASSATLY: I think we're in the bomb throwing stage of it still. We're not even sure where this is going. And I think it's going to take some time for us to get any resolution. And so what I'm realizing about a lot of these women is that they have to get their power back. BLAIR: Stephanie Cassatly and Attiya Khan both say that is going to take a very long time. KHAN: A lot of men who have harmed women are coming forward very quickly after it's becoming public that they've hurt someone and they're saying sorry. It needs to be more than that. And you need to make sure that the people who have been harmed want your apology. And you need to ask them, like, what else is it that you need from me? How can I help you heal after I've wronged you? That's the part that's missing. BLAIR: The offenders called out by the #MeToo movement might not be there yet. It takes courage to be held accountable. Elizabeth Blair, NPR News. (SOUNDBITE OF LANA DEL REY SONG, "BLUE JEANS (KRIS MENACE REMIX)") Transcript provided by NPR, Copyright NPR.